At one time or another, we all need to get an agreement in writing. Perhaps you’re lending money to a friend or selling your car, boat, or another item. But where do you start? 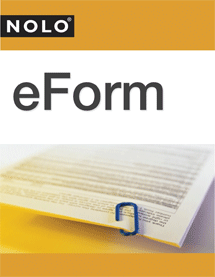 Nolo’s books and forms use plain-English, so you can easily fill out legal documents for just about any kind of consumer transaction. 101 Law Forms for Personal Use, by the Editors of Nolo, has legal forms covering most personal transactions all in one place, including everything from writing a will to buying a house. This book makes it easy to create legal agreements and protect your rights.